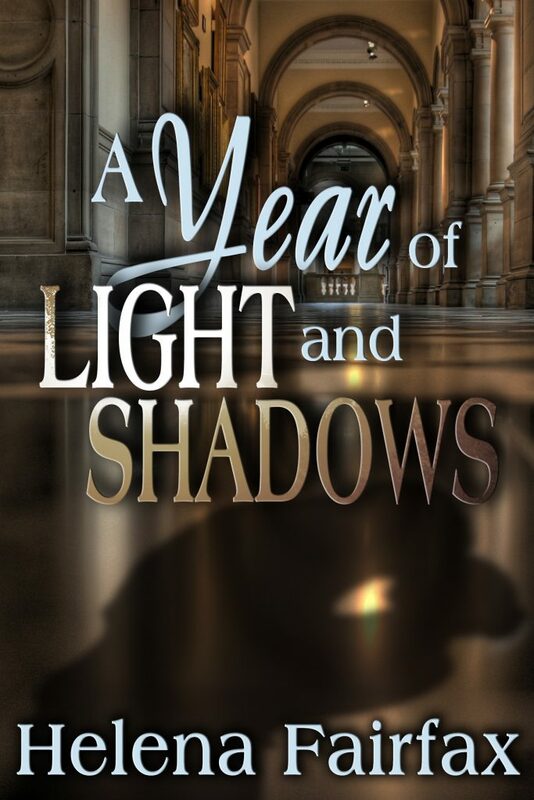 I’m delighted to welcome Helena Fairfax to my blog today, to talk about her brand new book, A Year of Lights and Shadows. This time of year, when the nights are drawing in and the days seem to be eternally shrouded in gloomy mist, is traditionally full of mystery, mischief, and trickery. I live in Yorkshire, and the tradition of “Trick or Treat,” which takes place on Hallowe’en, is more treats than tricks in our part of the world. Hallowe’en is for children in cute fancy dress, and if we’ve run out of sweets to give them, we don’t really expect the “trick” to follow; at most, just a look of disappointment. Mischief Night in Yorkshire is different. It takes place on 4th November, the night before Bonfire Night, and it’s a time for proper mischief. Householders can wake up in the morning to find broken eggs on their car windscreens, treacle on the gate handle, and flour down the garden path. For mischievous teenagers, it’s a night of fun. For everyone else, it’s a right royal pain…! and other major e-retailers. The print version is coming soon! Author Biography Helena Fairfax writes engaging contemporary romances with sympathetic heroines and heroes she’s secretly in love with. Her novels have been shortlisted for several awards, including the Exeter Novel Prize, the Global Ebook Awards, the I Heart Indie Awards, and the UK’s Romantic Novelists’ Association New Writers’ Scheme Award. Helena is a British author who was born in Uganda and came to England as a child. She’s grown used to the cold now, and these days she lives in an old Victorian mill town in the north of England, right next door to the windswept Yorkshire moors. She walks this romantic landscape every day with her rescue dog, finding it the perfect place to dream up her heroes and her happy endings. Do you have a Mischief Night in your part of the world? Or any other local traditions? If you have any comments at all, I’d love to hear from you! Thanks very much for having me today, Jenny. It’s been fun revisiting the devious inhabitants of Montverrier! It’s great here on the 5th November, Jane, but I must admit the 4th is best avoided 🙂 Thanks so much for dropping in!